This consultation is for those without major health issues who want to make a steady transition to a traditional macrobiotic diet and lifestyle. After a preliminary phone or email discussion, David or his assistant will advise you as to whether or not The Essential Consultation would meet your needs, or if you should consider one of the other consultation options described on this page. In person, by Skype, or by phone, this consultation includes complete written recommendations, relevant special recipes and home remedies instructions, and other educational materials. The fee includes two pre-scheduled follow-up phone reviews during the six weeks after the consultation. The Essential Consultation lasts for 1 hour and 15 minutes. Fee: $375 (includes the 1hr 15 minutes consultation plus two follow-up reviews during the six weeks after the consultation). Advance full payment is required to reserve your consultation. Once your payment has been received, we will contact you to schedule an in-person, by Skype, or by telephone consultation. Click here to make your advance payment. During The Healing Myself Consultation you will gain an understanding of your condition from a macrobiotic view, receive detailed macrobiotic dietary and lifestyle recommendations for your personal needs, and be given special recipes and educational materials. Included in your consultation fee are two follow-up phone reviews with David Briscoe during the first six weeks after the consultation. If you have a major health concern and you want to pursue a macrobiotic lifestyle, it is advised that you seek the necessary instruction and guidance from experienced macrobiotic teachers. Macrobiotic lifestyle changes can be unnecessarily difficult and time consuming if one attempts a self-healing practice without guidance and instruction. Uneducated and unguided attempts can result in misapplications of macrobiotics as well as unnecessary frustration. Fee: $375 (includes the 1hr 15 minutes consultation plus two follow-up reviews during the six weeks after the consultation). Advance full payment is required to reserve your consultation. Once your payment has been received, we will contact you to schedule an in-person, live online, or telephone consultation. The special CRS Consultation has been created for the specific needs of the cancer patient. A complimentary macrobiotic practice before, during and after medical treatment requires the educated and monitored approach that The CRS Consultation process offers. In response to the many requests to create a program that meets the varied needs of a cancer recovery process, we have developed the The CRS Consultation to more fully provide a macrobiotic approach that supports the whole person during the healing challenges specific to cancer recovery. To fully implement macrobiotic guidelines for cancer recovery requires far more than one consultation session. The consultation is but one step in what needs to be a well-rounded macrobiotic education. In addition to a consultation, the person challenged by cancer who wants to pursue a macrobiotic lifestyle should also receive the necessary education in macrobiotic self-healing skills including cooking, menu planning, and home remedies applications. 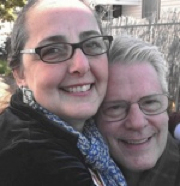 Read a remarkable cancer healing story by someone who was guided by David Briscoe. The fee for the 2hr CRS Consultation session plus four follow-up reviews is $475. Advance full payment is required to reserve your consultation. Once your payment has been received, we will contact you to schedule an in-person, live online, or telephone consultation. David is widely considered the world’s leading advocate of macrobiotics for mental health recovery. He recovered from mental health troubles that began when he was a teenager and ended after starting a macrobiotic diet. In this consultation he will explore the role of diet in mental health and offer specific recommendations to you based on macrobiotic principles. Additionally, he will explore with you how to work with your doctor regarding your macrobiotic diet and any psychiatric meds that you may be taking. Fee: $375 (includes the 1hr. 15 min. consultation plus 2 follow-up reviews during the six weeks after the consultation). Advance full payment is required to reserve your consultation. Once your payment has been received, we will contact you to schedule a live online or telephone consultation. There is the general ethical vegan diet and then there is the vegan diet based on principles of balance and health. A general vegan diet can still be unbalanced as far as personal health goes, and this can lead to less than beneficial outcomes. This consultation is for helping you create a vegan diet that is not only meeting your high ethical standards but will also meet the needs of your personal health. Avoid the commonly experienced “vegan fatigue” and other health challenges resulting from a vegan diet that is not grounded in principles of balance for your personal health. A grounded and balanced vegan diet can do wonders! The Women’s Self-Healing Consultation is for any woman who is wanting to go on a macrobiotic self-healing journey for personal health and well-being. You can be brand new to macrobiotics or already practicing. Get individualized dietary, home remedies, and special dishes recommendations to help you most appropriately adjust a macrobiotic diet to meet your personal needs. Fee: $375 (includes the 1hr. 15 min. consultation plus 2 follow-up reviews during the six weeks after the consultation). Advance full payment is required to reserve your consultation. Once your payment has been received, we will contact you to schedule an in-person, by Skype, or by telephone consultation. Receive complete guidance from Cynthia Briscoe on issues relating to macrobiotic pregnancy, children’s health, motherhood and family. Cynthia is the mother of five children, all of whom experienced healthy macrobiotic pregnancies. In this consultation, issues are addressed such as nutrition during pregnancy, family transition to macrobiotic eating, immunizations, breast health, hormones, menopause, fertility, and all other health issues related to women, children and family. Complete notes of recommendations are provided. .
Fee: $375 (includes the 1hr 15 min consultation plus two follow-up reviews during the six weeks after the consultation). Advance full payment is required to reserve your consultation. Once your payment has been received, we will contact you to schedule an in-person, by Skype, or by telephone consultation. This is a private, in-person meeting, phone session or Skype session with David Briscoe. Its purpose is to give you the opportunity to ask general questions about macrobiotics and to explore whether or not this is an approach you would like to pursue further. Although David will not make personal and detailed consultation-style recommendations during this session, he will discuss the basic approach of macrobiotics and help you better understand what is involved. Fee: $125 for 1hr. Advance payment is required to reserve your session. Advance full payment is required to reserve your education session. Once your payment has been received, we will contact you to schedule an in-person, by Skype, or by telephone education session. If you would like to have a discussion with David or Cynthia before deciding to sign up for a consultation, you can schedule an Inquiry & Information Gathering Session to discuss your preliminary questions and concerns. An Inquiry & Information Gathering Session is by phone and lasts up to 30 minutes. The fee for an Inquiry & Information Gathering Session is $50, and it may be applied to the consultation if you decide to have one. The fee must be paid in advance. Once your payment has been received, you will be contacted about scheduling your session. Time-Saving Optional Menu Planning Service: After any of our consultations, you can sign up, at an additional fee of $350, for the Menu Planning Service to have your consultation recommendations organized into a complete 7-day menu plan with all the relevant recipes included, plus a specific shopping list for the menu plan, step-by-step instructions for cooking each meal, and much more! This can save you many hours of having to create daily meal plans and shopping lists, as well as save much time by having the step-by-step instructions for cooking each meal right in front of you. This Menu Planning Service is also available for those who have not had a consultation with us, for a fee of $500. This service will save you at least double the cost, and triple the time, of having to do it all yourself. For more information, please visit the Menu Planning Service page.